Would you like to have better health and increased energy? Would you like to eat to live, instead of living to eat? In this never before seen video, I explain the purpose of the body, what intuition and spirituality are, and how to move from “dis-ease” to a new awareness of our higher path. The 30 minute video of my first live presentation on 12-9-09. Handout from the presentation in PDF. Bonus! Included in the presentation is an energy exercise that you can do to improve your awareness of the vital essence of life. Introducing the complete Create Your Great Life Meditations, mp3 recordings based on the Macrobiotic Playbook! Four mp3 meditations you can download and listen to again and again to soothe, focus and rejuvenate your spirit. Click here for more info about this playbook. Have you had migraines? What do they feel like for you? Before embracing the macrobiotic lifestyle, I suffered from excruciating migraines. I resisted trying prescription medication because I wanted to find natural ways of preventing the migraines rather than just masking the pain. 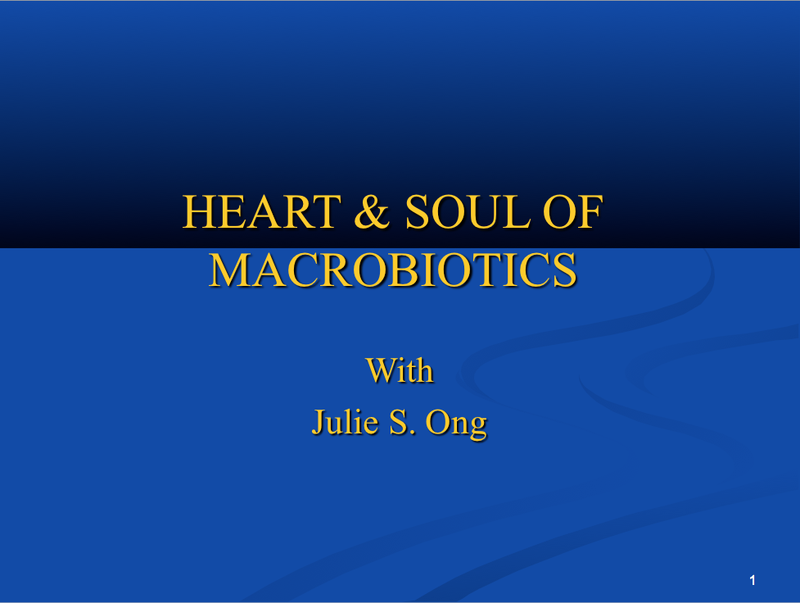 Then I discovered macrobiotics, a remedy that healed my migraines on a physical level and led to a more balanced way of living. The article about migraines and macrobiotics (pdf). The powerpoint presentation about the article. Recipes and acupressure points for relieving migraines.